The INEC Resident Electoral Commissioner in Ekiti State , Prof. Abdulganiyu Raji , has been moved to Ogun . This is coming barely 20 days to the 2019 general elections . The News Agency Agency of Nigeria reports that the State Administrative Secretary, Dr . Omoleke Muslim , has taken over in acting capacity . The Public Affairs Officer of INEC in the state, Taiwo Gbadegesin , told NAN that there was no external motive behind the transfer of the REC . NAN reports that while performing his first function in Ado Ekiti at the opening of a two - day Training Session for security agencies ahead of the election, Muslim urged them to be above board . He charged the security agents not to dance to the whims and caprices of any political party or individual . 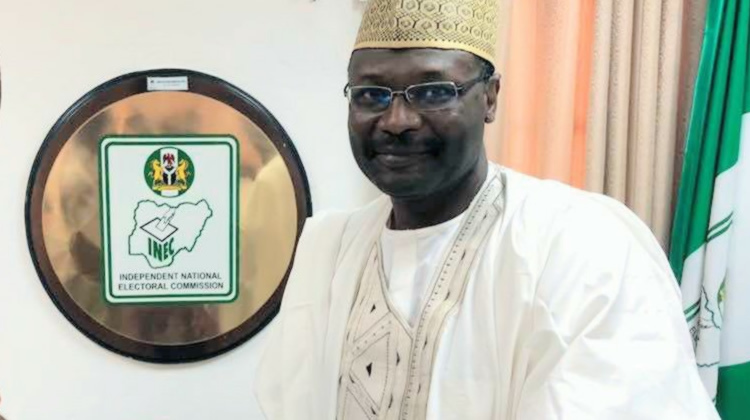 Muslim said that INEC in the state was ready to conduct free, fair and credible polls. He disclosed that election materials would start arriving the state in a few days ’ time through the Central Bank of Nigeria . He enjoined residents to steer clear of activities capable of affecting the electoral process .